ーーThis time, in the sense that 'I've got to teach this girl! ', please tell us the 'members you'd like to help with studies'. Tsugunaga　Right! Well then, I'd like to announce them from last to first. 6th place is Yamaki Risa-chan. Even amongst H!P members, Risa-chan is a prodigy, and she's far and away more capable at studies than I am, so there's no need for me to teach her. Since I'd prefer to be taught by her instead (laughs). Even when the other members face difficulties with their homework, they don't ask me, they ask Risa-chan. That's how reliable she is on the academic front. Tsugunaga　Inaba Manaka-chan. Regardless of whether she can study or not, what's bigger is that Manaka-chan has the strength to survive well in life. Tsugunaga　Not at all! (laughs). Manaka-chan is really good at elevating her superiors, and Manaka-chan constantly put me in a good mood, she's good at giving me a lift. She's the type that will probably have a successful career. Since she possesses a skill that they don't teach in school, when it comes to her, I think she's got nothing to worry about even when she hits her golden years! Yanagawa　She's skilled at praise, and I feel that she's a person who's really good at finding people's good points. Tsugunaga　4th would be Yanagawa Nanami-chan. She really likes reading books, and despite being just in her 2nd year of middle school, her vocabulary is staggering. At Japanese tests, she probably gets close to full marks every time. Yanagawa　Thank you very much! 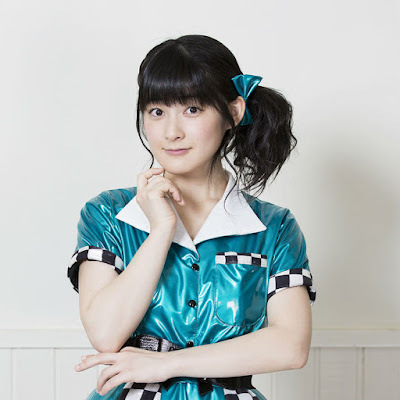 Japanese is my strong point among the 5 subjects, but I'm bad when it comes to science and civics, so I'd like Momochi-senpai to teach me subjects besides Japanese. Tsugunaga　No can do. I believe that Japanese is your forte, but there are times when we're chatting normally, and your use of polite language is just so courteous that it makes me feel like I'm being patronised, like I'm being looked down on (laughs). Tsugunaga　It's fine! Since when it comes to Japanese, you're teaching me polite language anew! Tsugunaga　3rd place is Morito Chisaki-chan. As idols, we have many activities that afford us opportunities to talk in front of people, such as at interviews or talk segments, but Chisaki-chan talks even less than these 2 new members that joined us at the end of last year... She's like the type that can't put together what she wants to get across inside her head, due to stage fright and shyness. So I guess that she's the worst at studies. Tsugunaga　It's complicated, but she'll gather up people around her, regardless of whether they're boys or girls. Her difficulty with studies charms people through her ineptitude and brings them around her, so if I were to help her out too much, that attraction would disappear, and that would be such a waste... It's a complicated give-and-take. Tsugunaga　2nd place is Funaki Musubu-chan. When we had some free time in the middle of work, Country Girls did some kanji drills. I'd give them questions from a collection of past kanji exams that I found online, and they'd answer. When we did that, Musubu-chan kept coming last. Funaki　Hmm… But Japanese is my strong point! It's just that I'm bad at kanji! Funaki　Umm… I'll do my best with kanji as well! Tsugunaga　Ah, there were some... But it might destroy Musubu-chan's image, so I'll hold myself back (laughs). I'm putting on self-restraints. ーー So she even made such unthinkable mistakes. Tsugunaga　That's right (laughs). But even beyond that, more than anything, the member I'd like to help out with studies the most is 1st place Ozeki Mai-chan! I think that Mai-chan's stance is that she doesn't see the point of studying in the first place. Tsugunaga　More than being bad at studies, she hates studying. So I'd like to teach her the significance of studying. Finding an answer through trial and error is a process that can be applied to anything. I think that if we simply told her to study, if we imposed it on her, she definitely wouldn't do it, so that's my opportunity to show off my skills! ーー All sorts of their characteristics came out from where you'd want to help them out in studies. It's amazing how you've caught the characters of the members to this extent, Tsugunaga-san! Well then, please direct what you feel is the 'Spirit of an idol' towards the 2 new members. Tsugunaga　'Slow and steady wins the race'. I'll soon be entering my 14th year as an idol, and actually, Funaki Musubu-chan was born in the year that I joined H!P. isn't that unprecedented! But having continued on to this point, there's nothing that I fear any more. Well, if I was forced to say, what scares me might be my age (laughs). ーー Having heard such advice from a dai-senpai, what do the two of you think? Yanagawa　I'm quite inconsistent… But since I understand that continuing on is important, I'll continue practising seriously, and hopefully I'll become a wonderful idol just like Momochi-senpai! Tsugunaga　What an honour. Though you went off-topic (laughs). ーー I see. But your respect towards Tsugunaga-san really got across! Well then, do you feel that these two new members will work hard, until they're like Tsugunaga-san, where age is what they fear? Tsugunaga　Of course! (laughs) Of course there are lots of things that they'll have to learn at first, and there will be lots of difficulties, but I'd be glad if they start thinking from their hearts that being an idol is fun as they continue on. ーーHow wonderful! 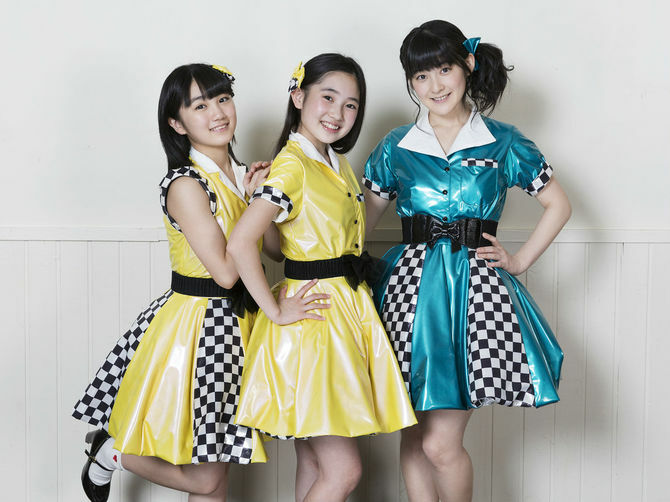 Well then, on the 9th of March, your first single with the new members 『Boogie Woogie LOVE／Koi ha Magnet／Ran Ra Run ～Anata ni Muchuu～』 will go on sale. This time, it's a deluxe edition triple-A single! Tsugunaga-san, among the 3 songs, please tell us a highlight from the song you recommend the most. Tsugunaga　So far, our singles have mostly been cute songs, but this time around, there's a cool, rock-ish song. I'd like you to watch the 'roguish Country Girls' that are a bit different from what you've seen before. In the PV, there are lots of scenes where the new members stand out, so it'll become their introductory song. By the way, the dance has spins and turns that could make your eyes spin, so if you'd like to copy it, please focus in improving your balance while trying it out!